The past meets the present ! 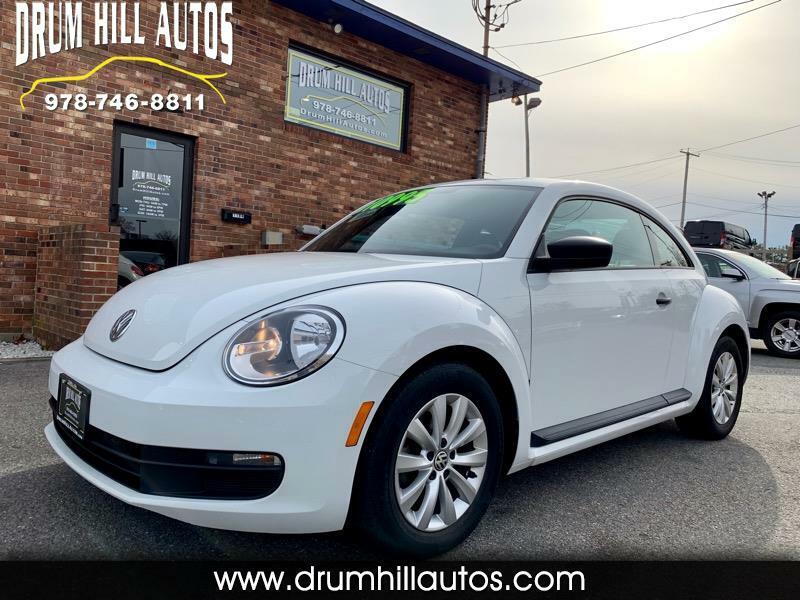 You are viewing a VW Beetle Classic edition that is well equipped with the power options and modern day amenities and safety items. This Beetle is in very good condition both mechanically and cosmetically and it runs, looks and drives very well. It has been fully safety checked and serviced, comes with a warranty and is available for immediate delivery. We offer aggressive financing rates and terms for all credit levels creating a seamless and easy purchase experience. Do not hesitate to contact John at 9788040263 with any questions and or to schedule an appointment and thank you for your interest. Please visit our website at drumhillautos.com to view additional inventory.